Gloucester Police Chief Leonard Campanello and John Rosenthal, co-founders of The Police Assisted Addiction and Recovery Initiative (P.A.A.R.I. ), are pleased to announce that Waters Edge Recovery has joined the growing list of treatment centers that have partnered with P.A.A.R.I. to offer addiction recovery services to program participants. It is an honor to support Chief Campanello, a distinguished law enforcement figure, who understands the need and opportunity to treat addiction instead of punishing its symptoms. Over the summer, Chief Campanello and businessman John Rosenthal launched P.A.A.R.I. -- a nonprofit organization created in response to Gloucester Police Department's ANGEL Initiative. Rather than arrest their way out of the problem of drug addiction, police departments place those who come to them for help into treatment programs. 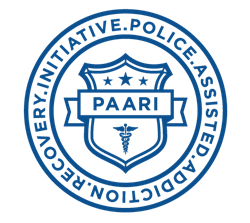 As partnerships with recovery centers continue to grow, so does P.A.A.R.I. 's ability to support police departments who want to assist their communities in saving lives. At Waters Edge Recovery, every guest is treated as a unique individual and treatment is designed around their current needs and recovery lifestyle. There is a strong focus toward the future and in finding a genuine, personal purpose for their lives. Emphasis is therefore placed on respect and compassion toward self and others, and on the innate strengths and aspirations that each of our guests possess and can be guided by. Waters Edge offers a two-tiered system of residential care. During the first two weeks, there is a strong focus on stabilization, a gradual return to wellness (mental, physical, emotional and spiritual), an understanding of the addictive process and the instillation of hope and excitement. Guests then enter a four-week, second-tier stream that most reflects their needs and challenges. In addition to ensuring clients’ understanding of the underlying causes of their specific addiction, Waters Edge actively equips each guest with the essential tools for leading a meaningful life while setting a strong foundation for long-term, unwavering sobriety. Chief Campanello and Rosenthal are pleased to welcome Waters Edge Recovery as a partner and commend them for stepping up to help meet the need for additional resources for P.A.A.R.I. participants. They are eager to work together to continue on their mission of saving lives and destigmatizing the disease of addiction. Waters Edge Recovery offers a full continuum of care, including a Partial Hospitalization Program (PHP), Intensive Outpatient Program (IOP), intervention, family care and guidance, as well as sober living and integrative aftercare and case management for adults 18 and over. Nestled alongside the St. Lucie River, Waters Edge promotes a holistic approach to recovery, incorporating nutritional counseling, exercise, art and music therapy, meditation and recreational activities. For more information visit the Waters Edge Recovery website or call the information and admission line 24 hours a day, seven days a week at 855-782-1009.